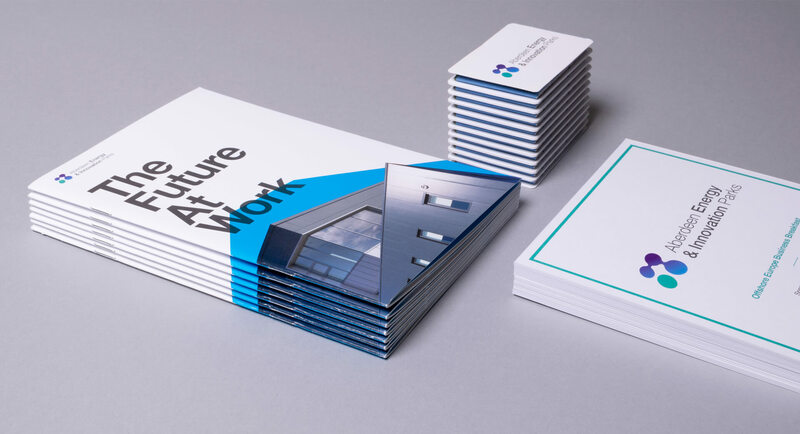 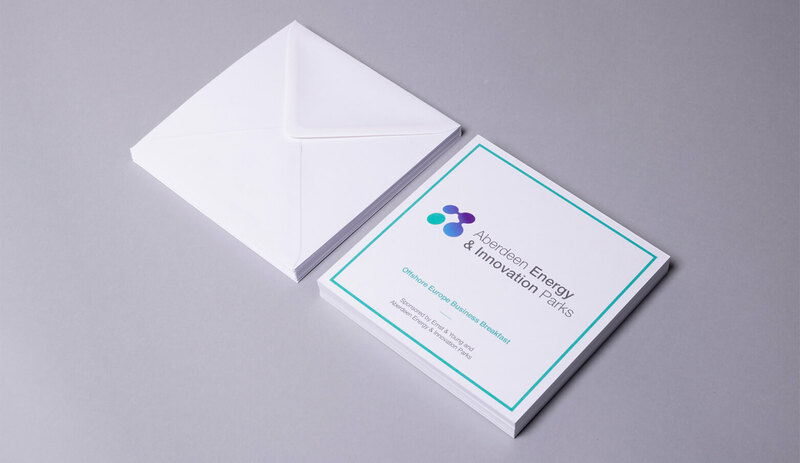 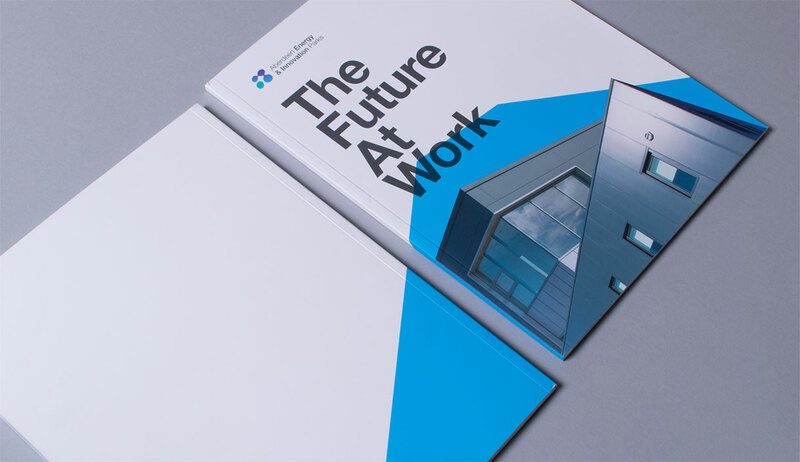 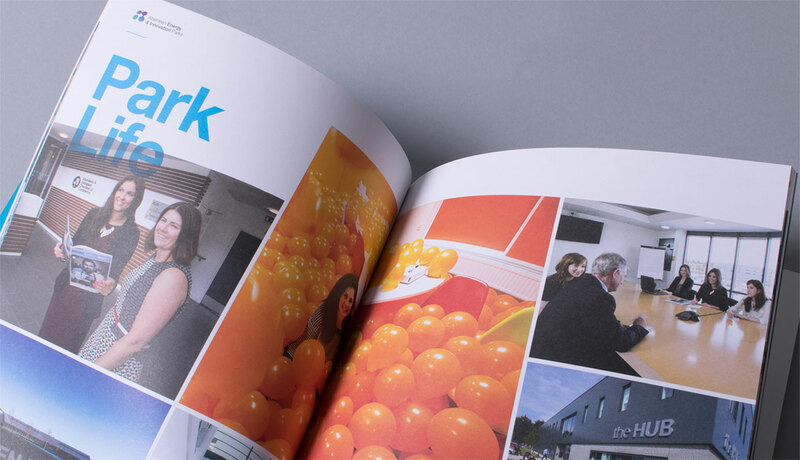 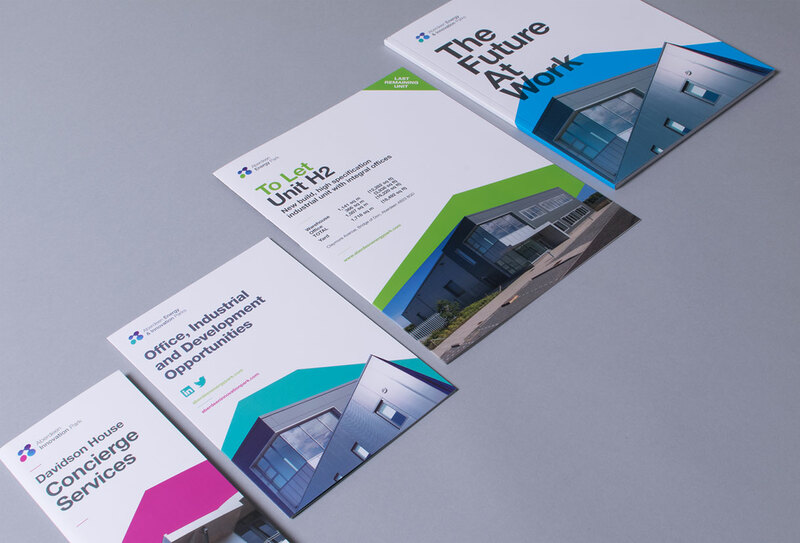 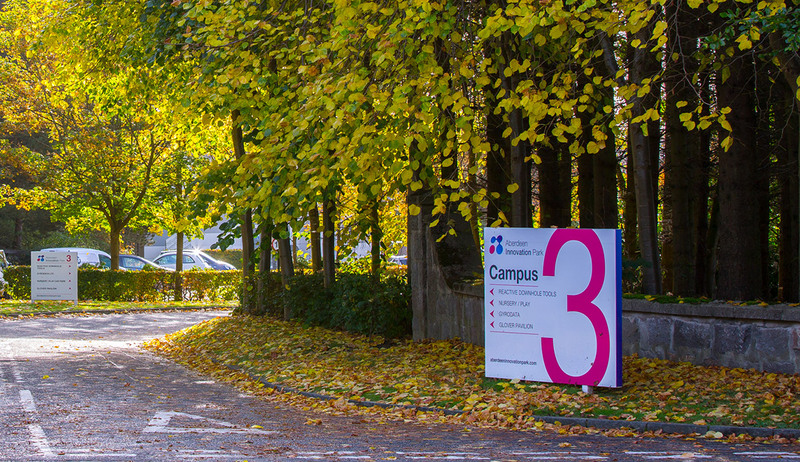 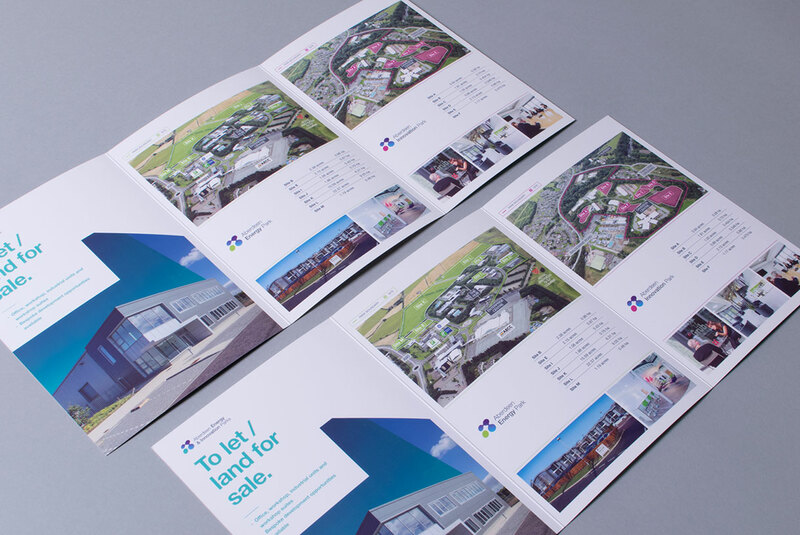 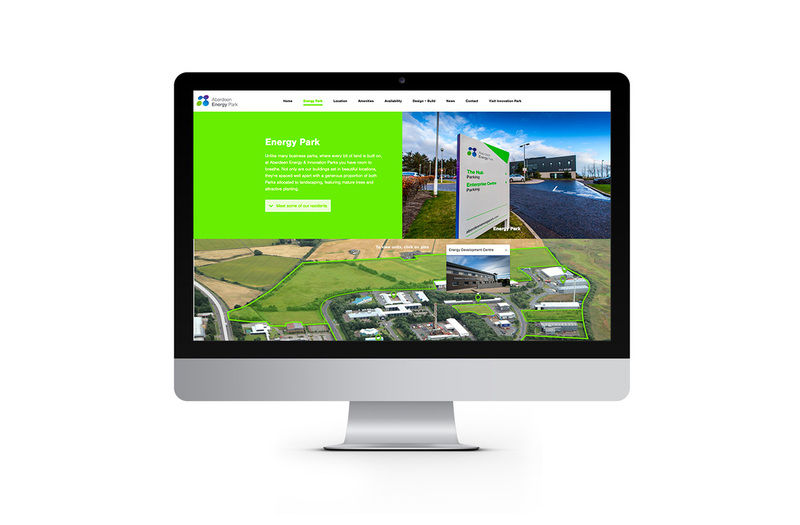 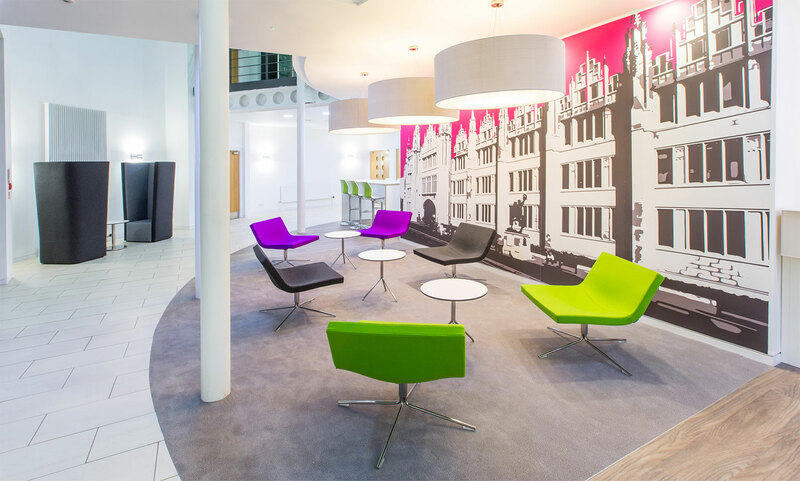 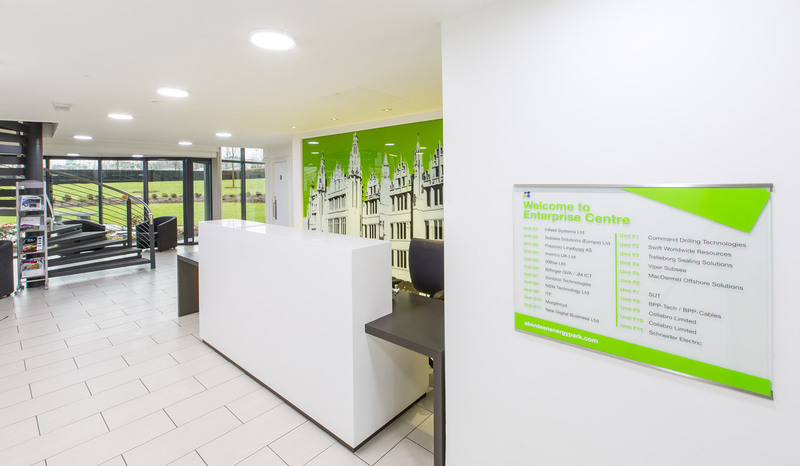 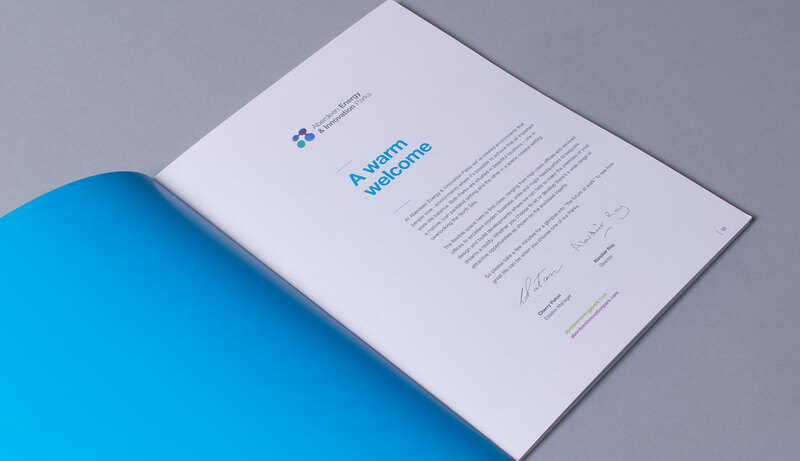 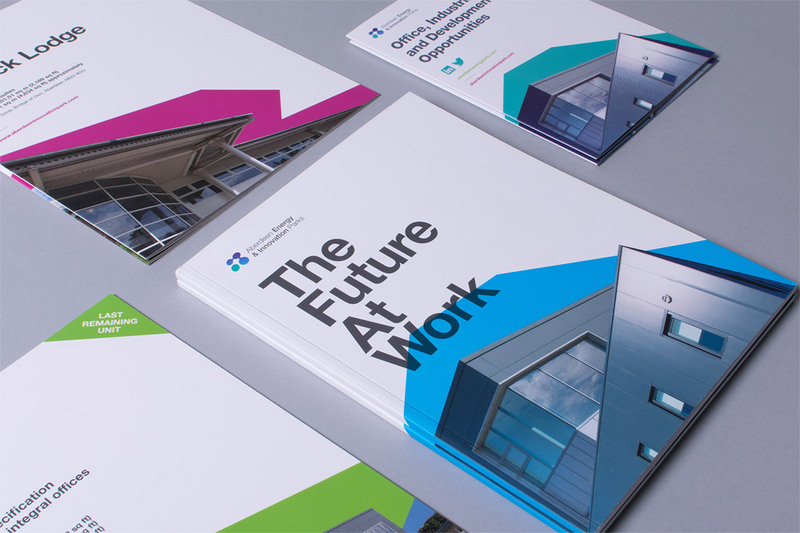 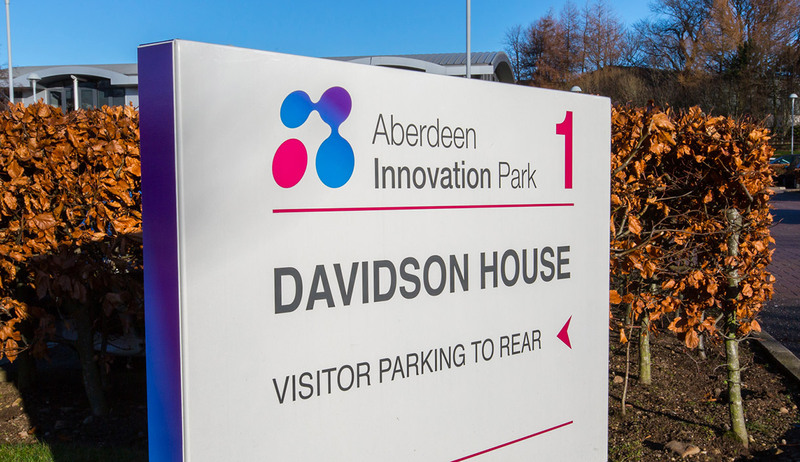 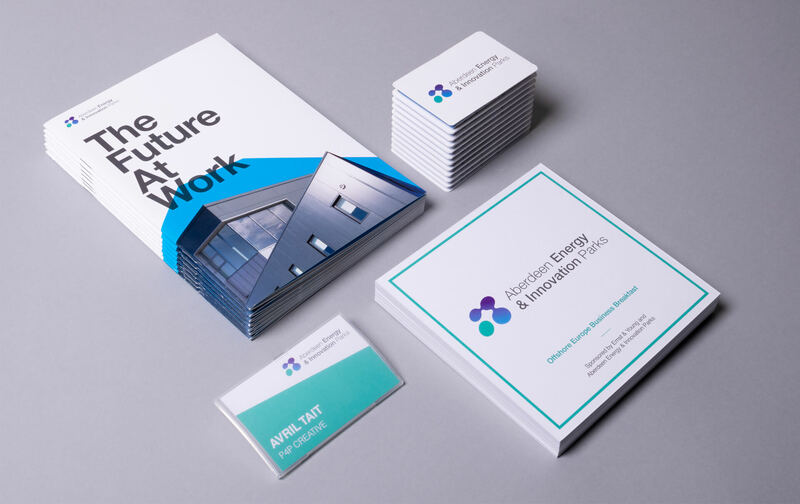 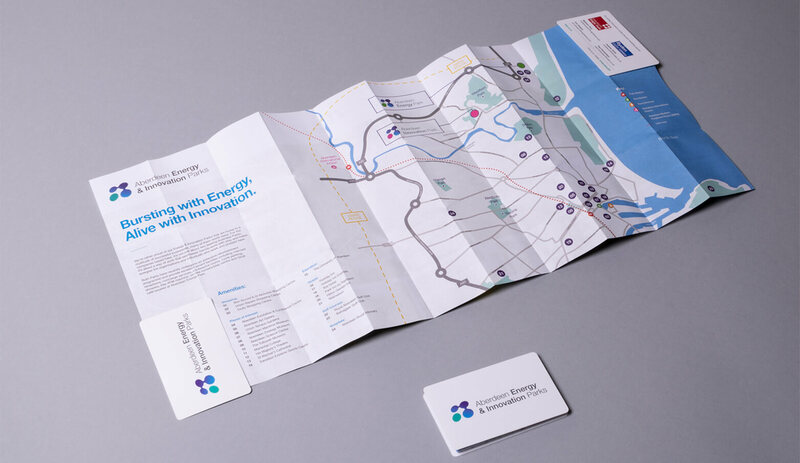 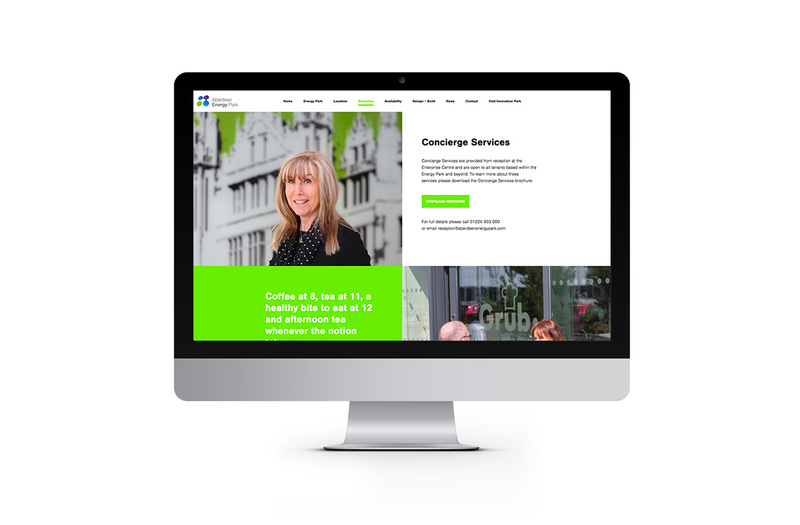 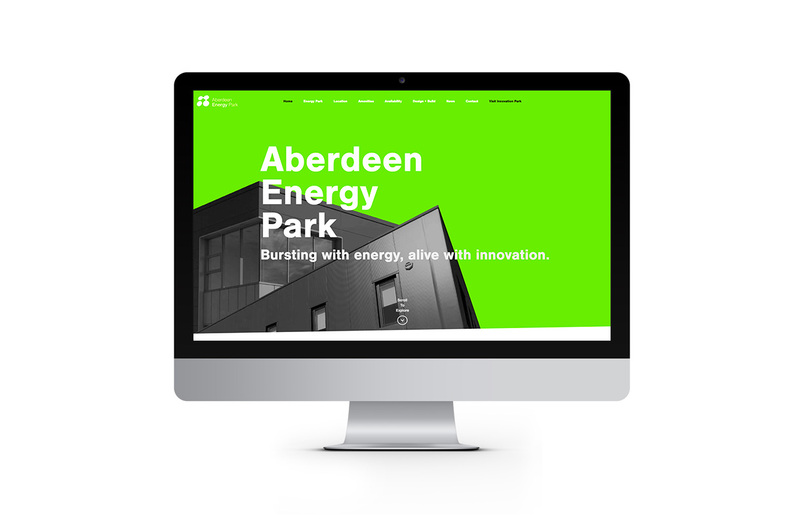 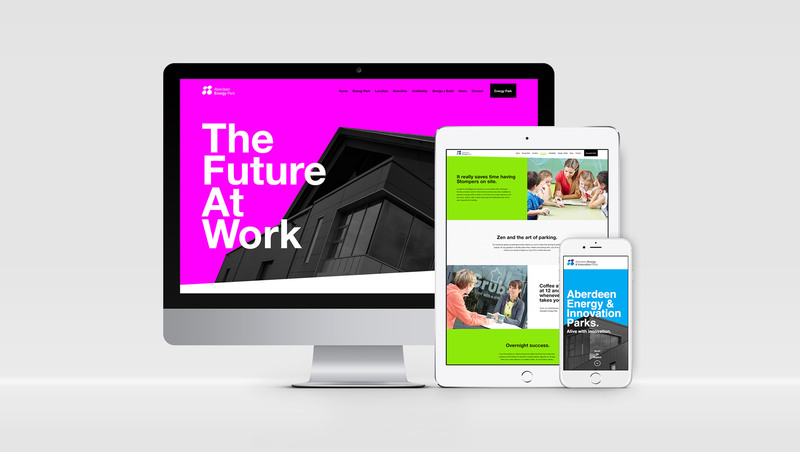 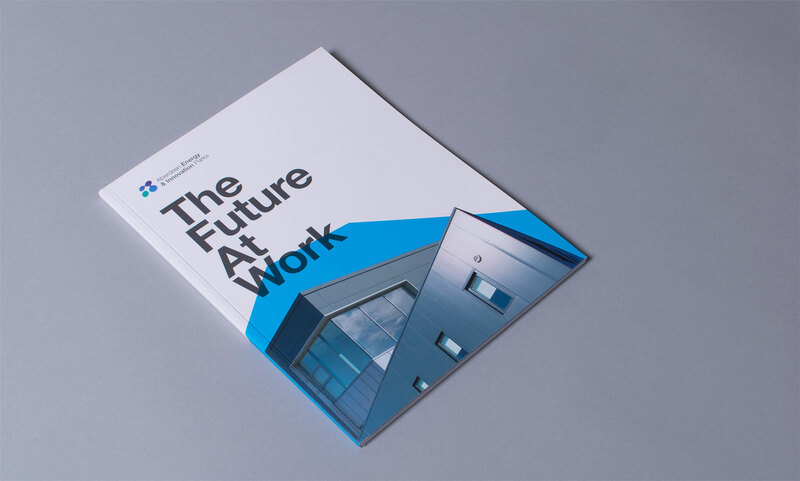 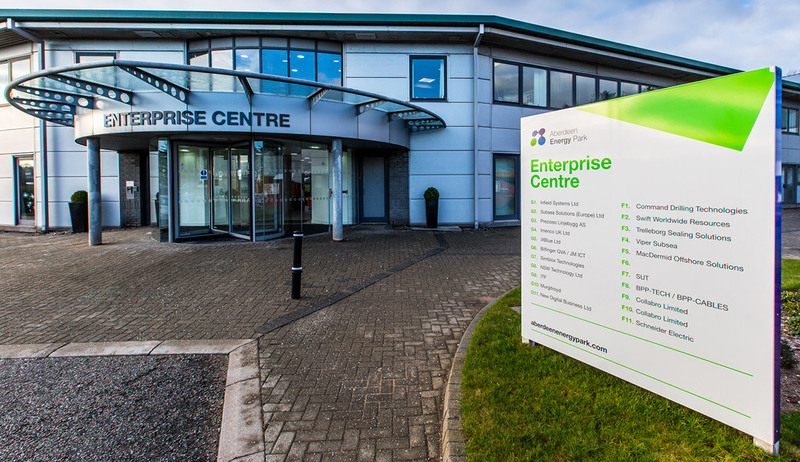 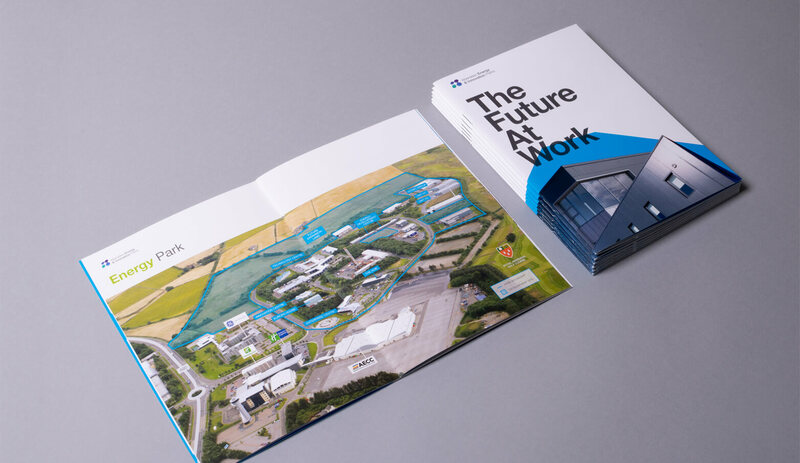 Following the acquisition of Aberdeen Energy & Innovation Parks by the Moorfield Group, we were commissioned to re-energise the marketing collateral and site signage for both parks. 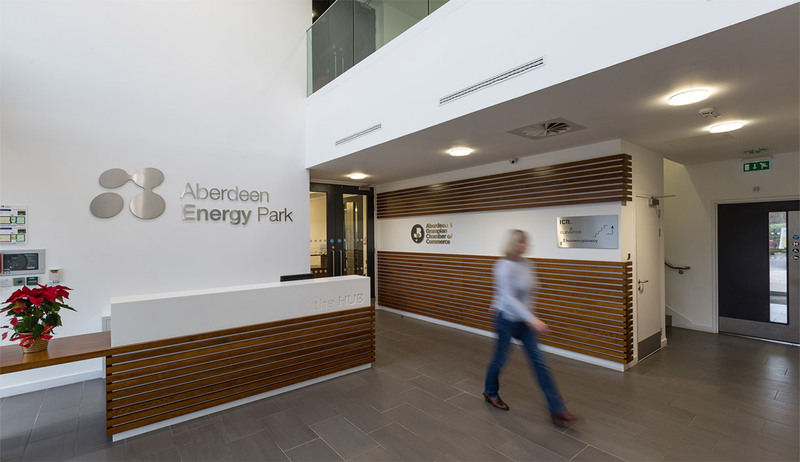 Each Park provides environments that people love – environments where it’s possible to achieve that all important work-life balance. 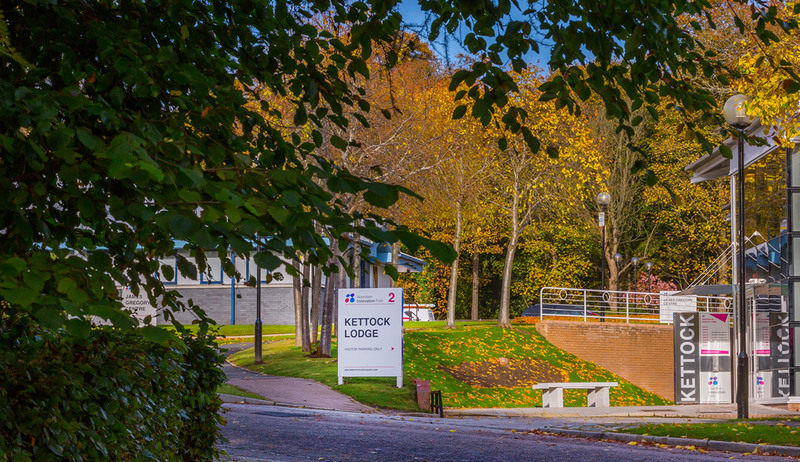 Both Parks are situated in beautiful locations – one in a mature, lush parkland setting and the other in a scenic coastal setting overlooking the North Sea. 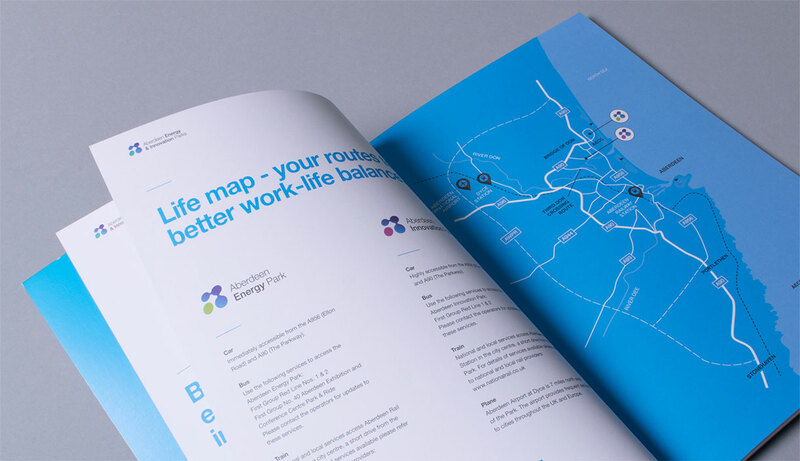 With Aberdeen consistently achieving one of the highest living standards in the UK, the brief was to highlight the excellent work/life balance that both Parks offer. 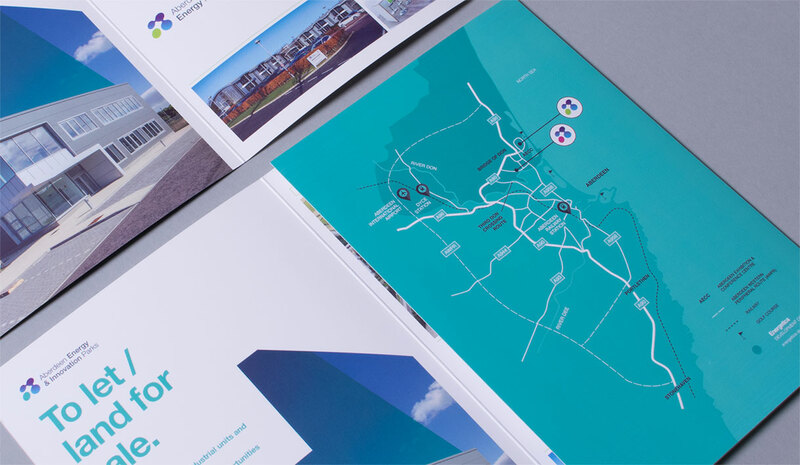 This was achieved by emphasising the Parks’ beautiful green environments, excellent on site amenities and the array of lifestyle options that lie conveniently nearby. 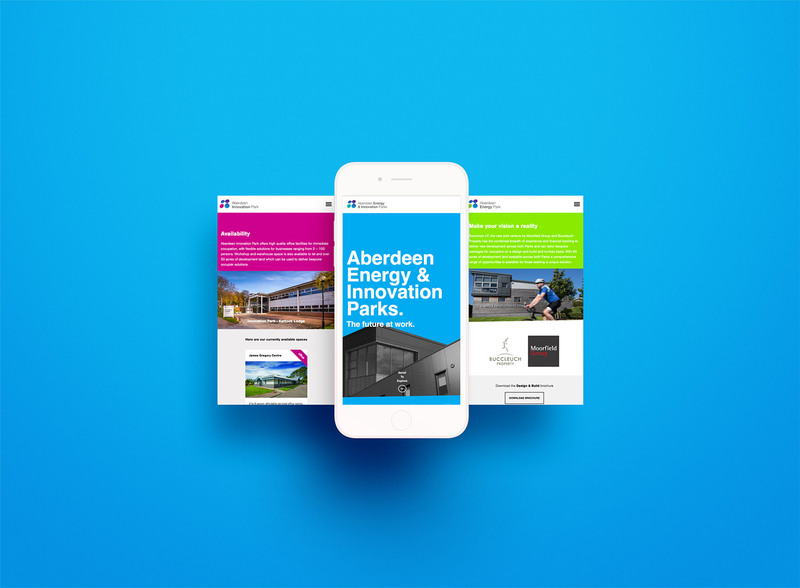 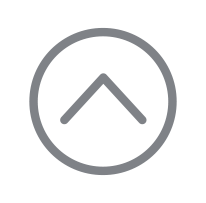 Formerly the Parks had been promoted through a single website however to clearly identify the individual locations unique websites were created for each Park in addition to a joint site. 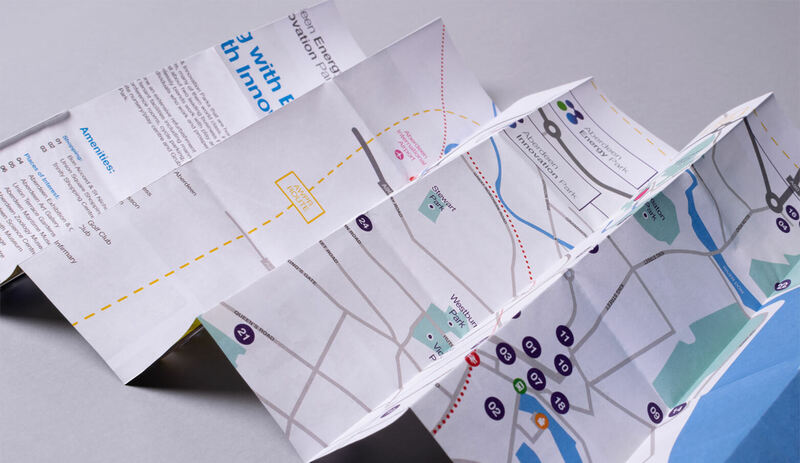 To strengthen the identity of each Park, individual colour palettes were selected and these were incorporated into the redesigned wayfinding signage. 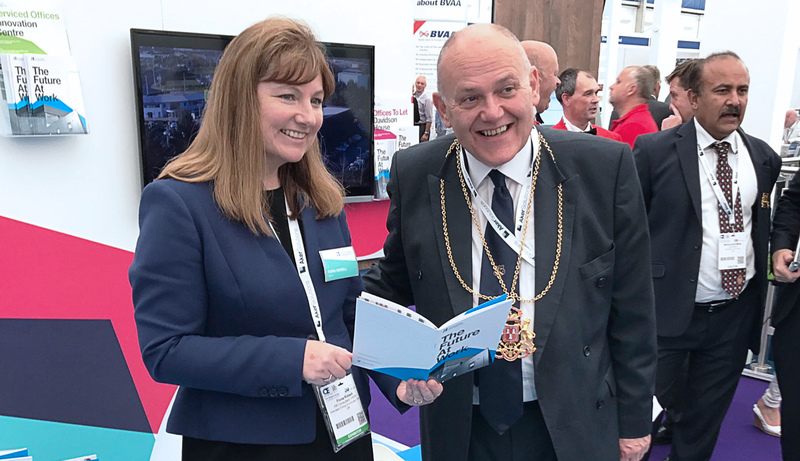 Attracting over 63,000 visitors and 1,500 exhibitors, Offshore Europe is Europe’s largest oil exploration and production conference. 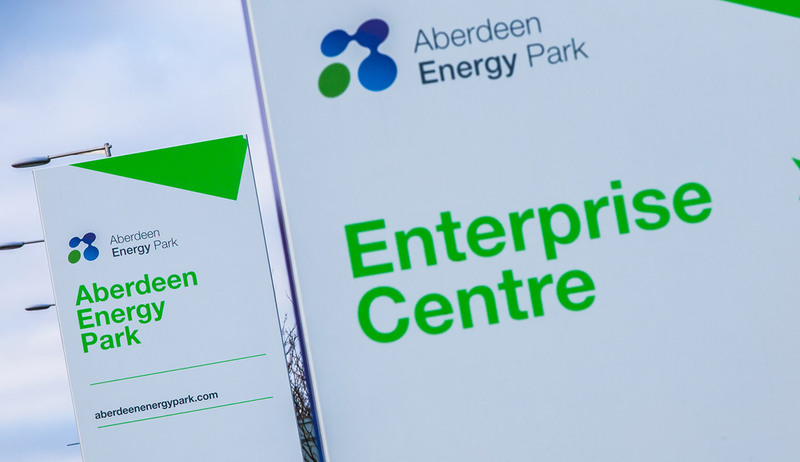 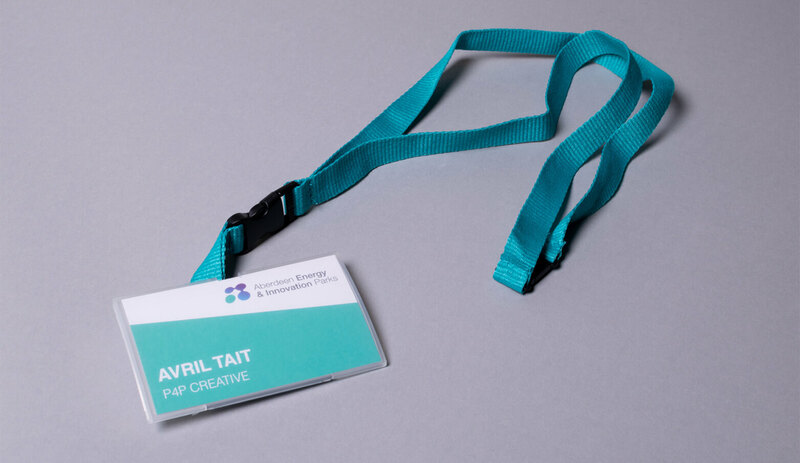 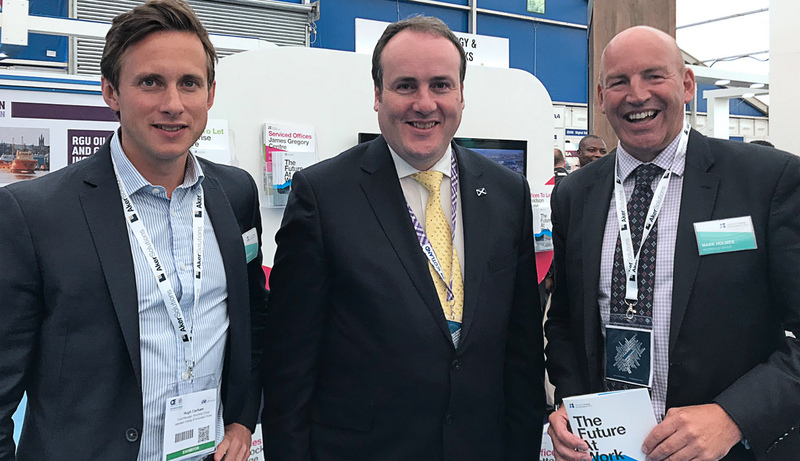 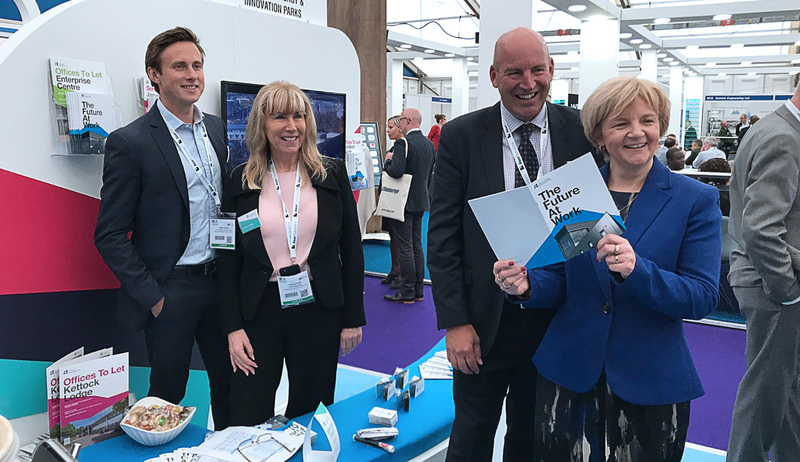 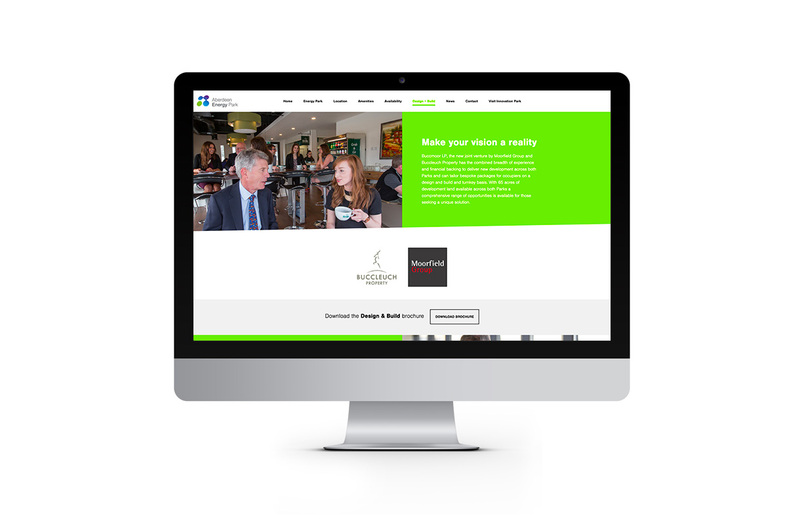 Held at Aberdeen Exhibition & Conference Centre, immediately adjacent Aberdeen Energy Park, an exhibition stand and sponsorship of the Aberdeen Chamber of Commerce Business Breakfast, presented the perfect opportunity to promote both Parks to a highly targeted audience. 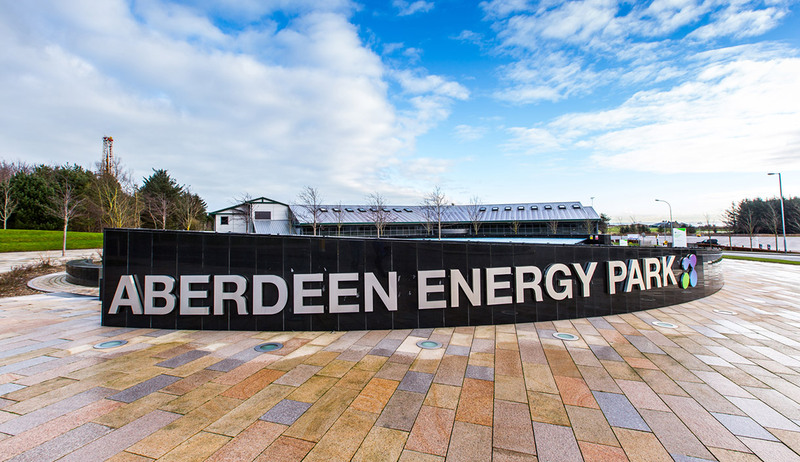 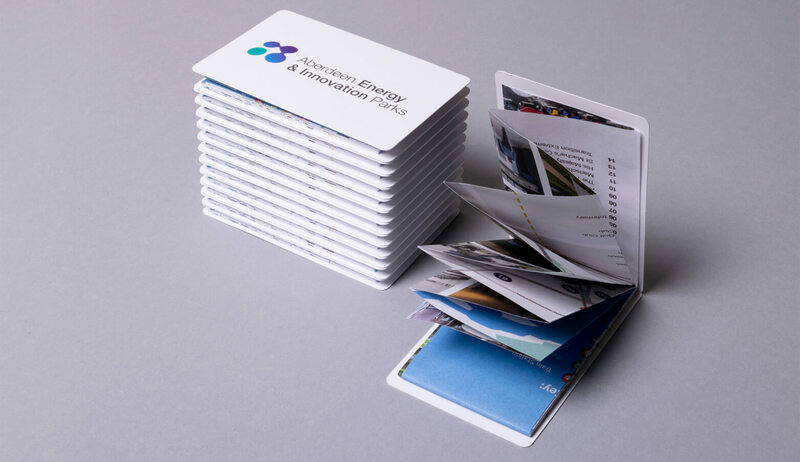 Visitors to the Aberdeen Energy & Innovation Parks stand were given a mini A5 brochure emphasising the many benefits of both parks. 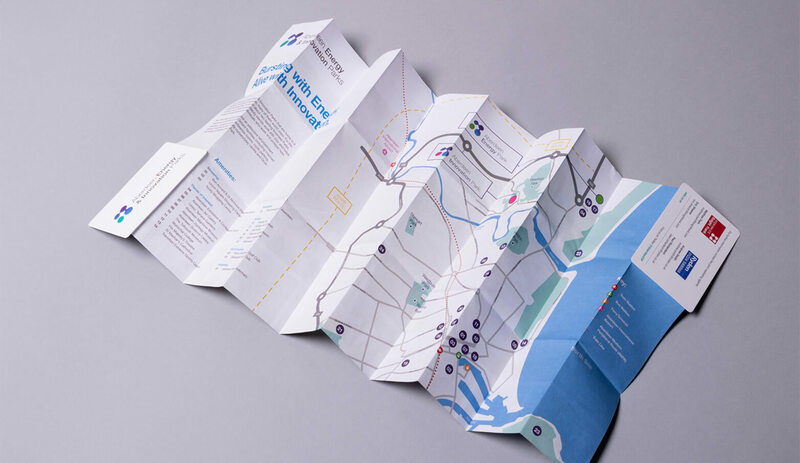 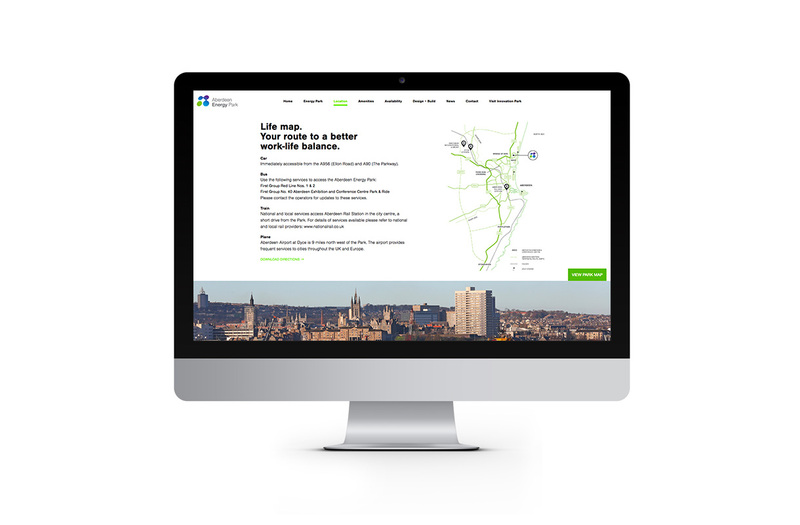 To help those less familiar with Aberdeen navigate their way around the city, a handy fold out map was designed, highlighting places of interest and local amenities. 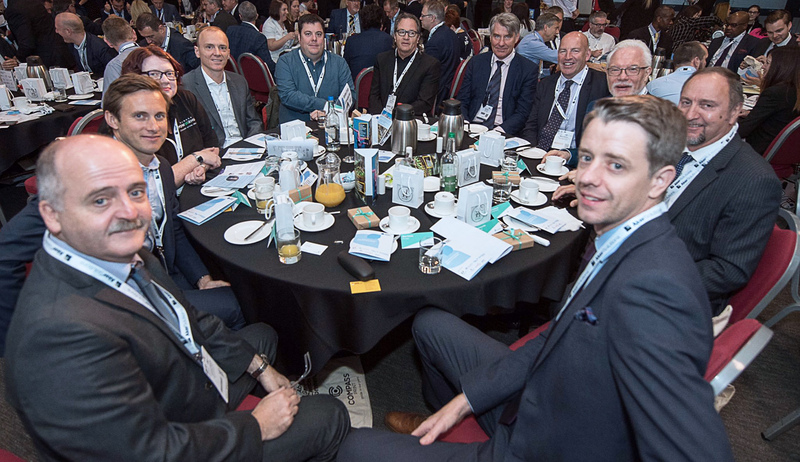 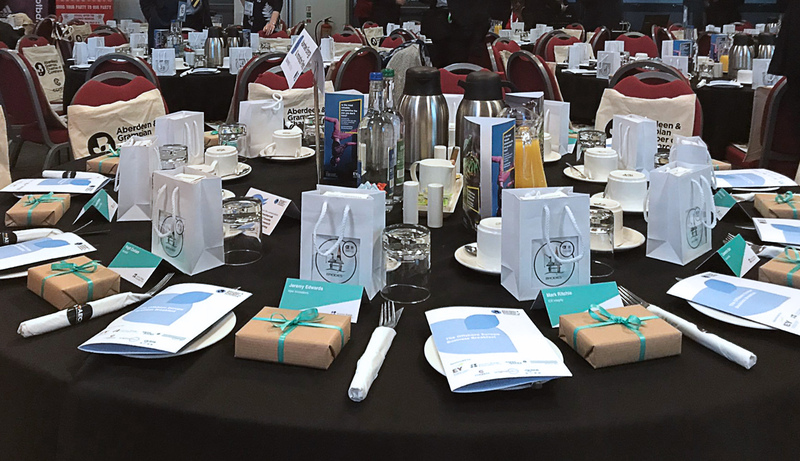 Guests at the Aberdeen Chamber of Commerce Business Breakfast, the opening event at Offshore Europe sponsored by both Parks, each received a box of gourmet chocolates from the award-winning Highland chocolatier, Iain Burnett.